The XE SV Project 8 also made its official debut. Al Tayer Motors, the only importer-dealer for Jaguar and Land Rover in the UAE, organized Jaguar Land Rover Experience Tour in Dubai from October 26-27. Arranged at the Dubai Autodrome, the famous Art of Performance Tour by Jaguar and Above and Beyond Tour by Land Rover brought unique experiences for the attendees. The visitors of the Jaguar Land Rover Experience Tour were given a chance to experience the XE SV Project 8, the world’s fastest production sedan and the Range Rover Sport SVR, the fastest Land Rover so far. As the XE SV Project 8 made its official debut here, Al Tayer Motors took the opportunity to offer exclusive deals on Jaguar vehicles, which included 5% rebate in the VAT, 12-months insurance, and up to 10% cashback on all Jaguar and particular Land Rover vehicles. Furthermore, customers who were interested in trade-in deals were offered appealing monetary incentives. Besides exciting drive experiences, the Above and Beyond Tour and the Art of Performance Tour offered visitors distinct driving activities on both Land Rover and Jaguar vehicles. 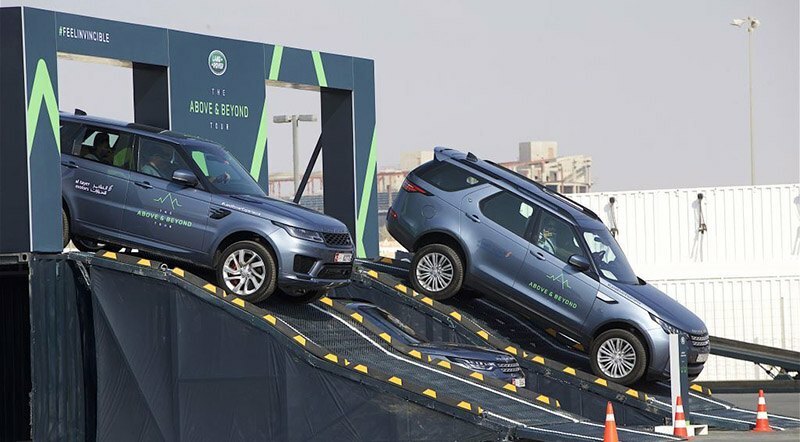 The Land Rover activities were comprised of regular terrain inspired activities, in addition to a variety of Land Rover drive innovation obstacles. On the other and, the jaguar lovers tested their driving prowess with the famous Smart Cones and the latest drive game called ‘The Maze’. The winners of the Art of Performance Tour will now be able to participate in the final of MENA Drive. The winner of the race will get a free trip to Austria. Additionally, the victor of the Land Rover Self-drive Challenge will have a chance to participate in the MENA finals in Georgia for an opportunity to earn a trip to Namibia. “The opportunity to run both the Jaguar Art of Performance Tour and Land Rover Above and Beyond Tour together was almost too good to be true, it allows us to offer our audiences the chance to experience two iconic brands at the same time,” stated Dr. Benjamin Trespe, Brand Director for Jaguar Land Rover MENA Region. “The Land Rover Experience Tour has been one of the most popular events for our customers and we are confident the Above and Beyond Tour will raise that bar even higher. Our hugely popular Art of Performance Tour has always been a highlight for us to showcase the full range of Jaguar cars in an exciting, fun and dynamic way,” added Dr. Trespe.